A freaky file of fun from our genius duo. 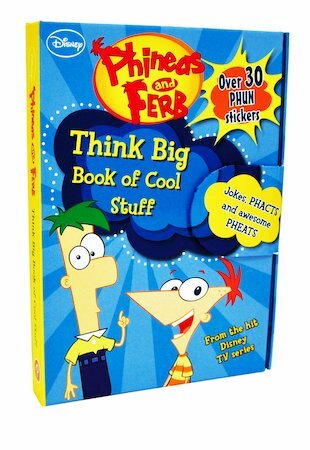 Follow Phineas and Ferb on their adventures, and find out how to think big! Stuffed with jokes, profiles, puzzles, a planner, a fantastic story and over 30 stickers, this bumper file is for any fan who wants to spend more time doing cool stuff with these innovative friends. Enjoy all the stories, facts and fun in the file, and then start planning your own pheats!